We love coffee but, perhaps even more than that, we love coffee mugs. There are so many hilarious, novelty, and rather pretty mug designs out there that we feel like we have to get our hands on as many interesting designs as we can. Even better than being able to buy ourselves awesome mugs, however, is the fact that we can make them for ourselves as well! 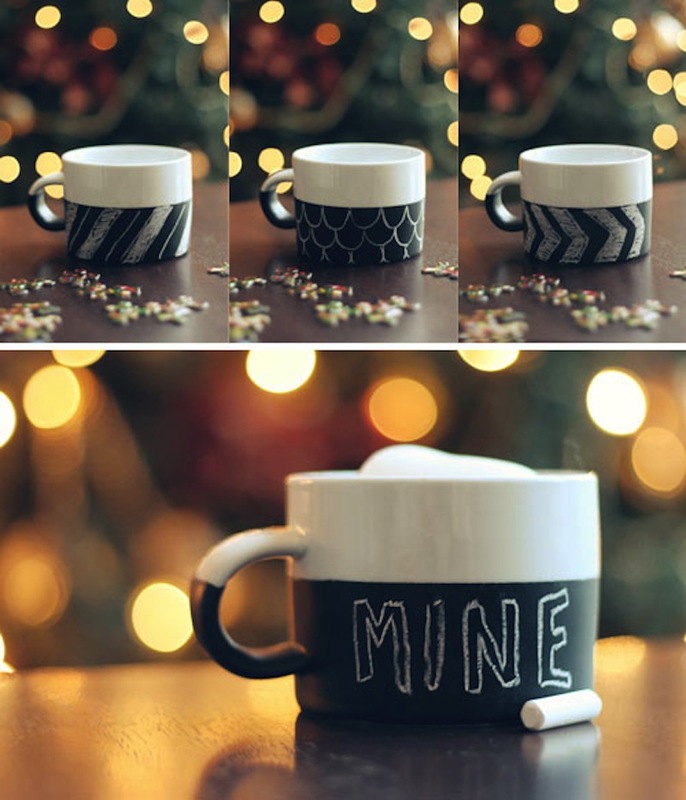 Check out these 15 awesome, stylish, and super fun DIY coffee mug projects that you can make at home! Do you want to design a mug for a friend that’s very custom and based on an inside joke, so it’s not something you’ll find in stores? Maybe you’re just very keen on the idea of hand designing your own pattern because you’re very good at drawing and love doing it by hand? 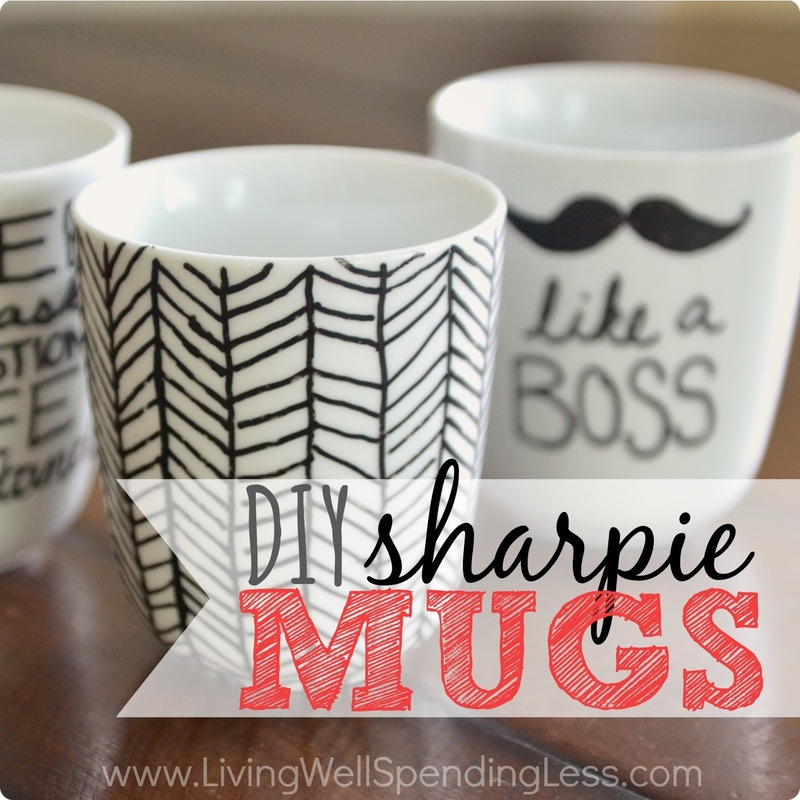 Then sharpie mugs are the perfect DIY mug for you! Find out how they’re done on Living Well, Spending Less! Do you like the idea of hand drawn mugs but your skills actually lie in painting rather than drawing? Perhaps you’re more confident at careful lettering than you are when it comes to images and patterns. 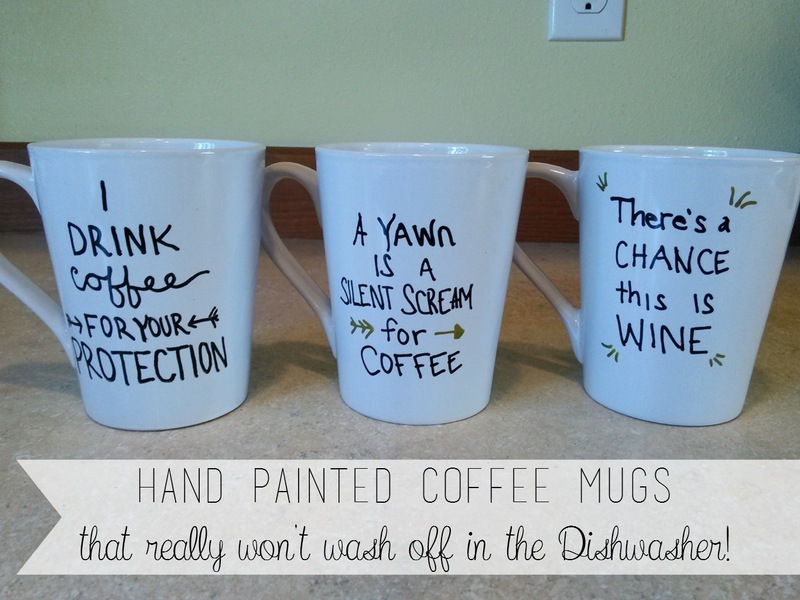 Don’t worry, these are things you can easily do on a mug as well! The Colbert Plan guides you through the process of creating custom quotes on the surface of a simple, affordable coffee mug. 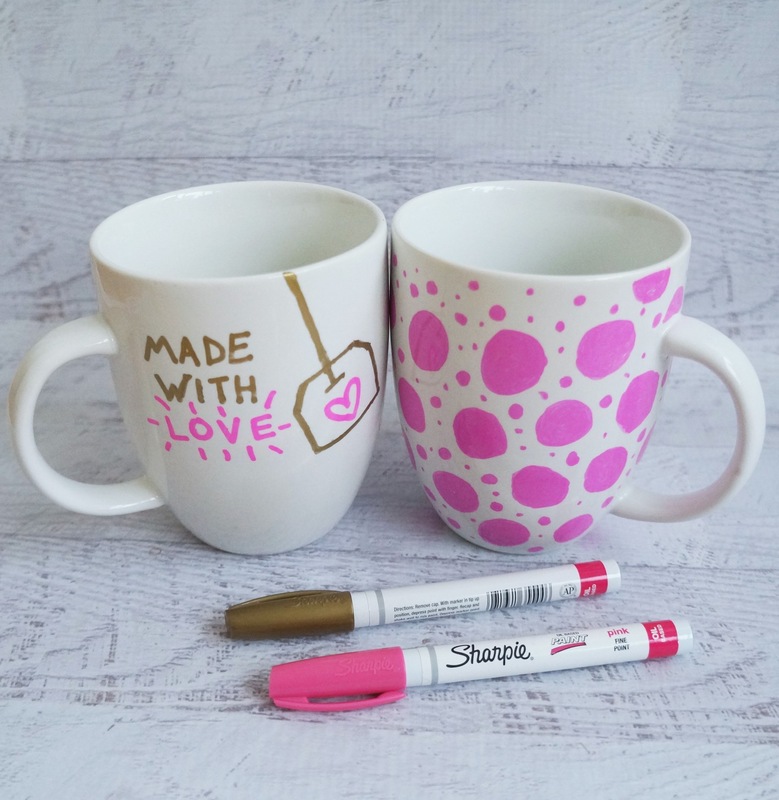 Regular Sharpie mugs are an awesome idea and doing them in the common black and white style can be beautiful, but maybe your tastes are a little brighter than that? Then follow in Popsugar‘s lead and try making your design in awesome colours instead! They used colourful paint markers to draw their designs, making each line a little more intense and giving it a lot of “pop”. 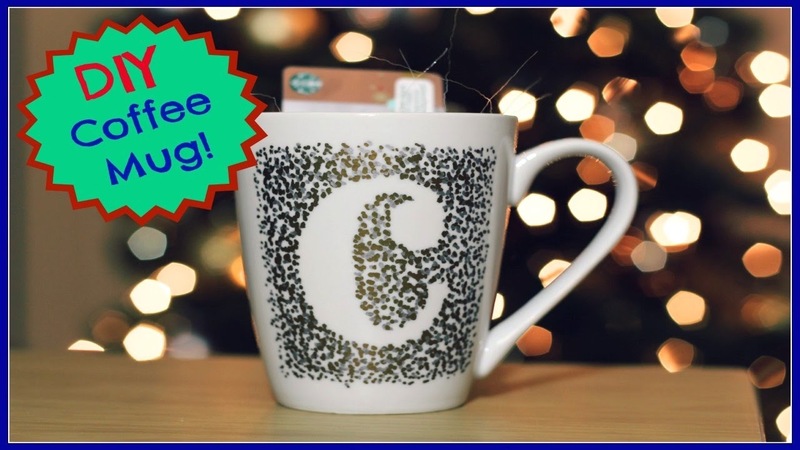 Have you always loved custom monogram things, but you’re looking for a way to do it on a mug that’s a little more unique and eye catching? Well, there are lots of ways to do that, but one of our very favourite designs is this stunning pointillism mug by Carly7xoxo! They used two different colours, black and silver, to give the patter depth but you could use any colour combination you please if you want something a little brighter. Text and drawings are all well and good, but what if your personality shines a little brighter and you’re looking for a cheerful, pick-me-up coffee mug that matches that? then add glitter to your design! 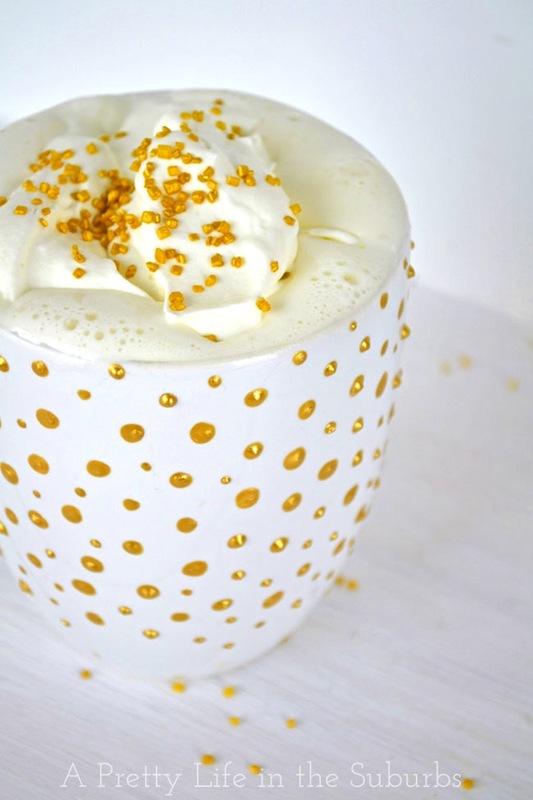 Believe it or not, there are ways of applying glitter to a porcelain mug that will actually stay and not just flake off when you touch it or render your mug not washable. Visit Coffee Museum to see how it’s all done! Have you always had a sort of abstract creative side that you love expressing in mixed mediums, meaning you’re always on the lookout for brand new ways to let that shine through? Then we think you might be a big fan of this nail polish water marbling technique outlined on Domestic Fashionista! For how fancy and intricate the marbled effect looks, you might be surprised by how easy it really is. Whenever we talk to DIY enthusiasts, we find that glass etching is one of those techniques that intimidates a lot of people because it looks so neat and professional, but that isn’t really all that hard to do. That’s why we include it on our DIY lists whenever we can! 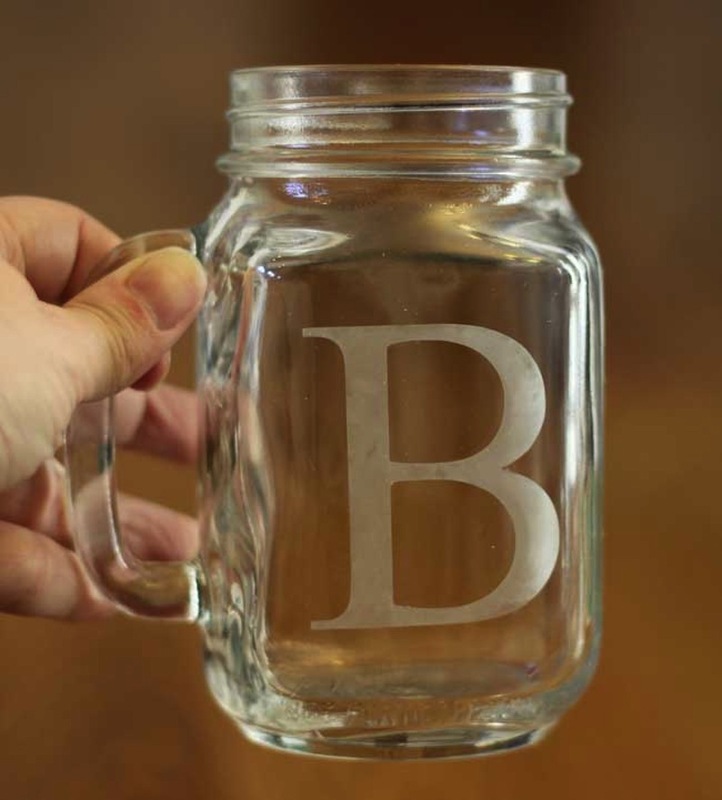 Sometimes Homemade has a great tutorial for creating an etched monogram on a smooth glass surface, meaning it’s a great way to help yourself make a fun personalized coffee mug. Do you fine that your attention with things like style and designs can be short, so you’ve always had a penchant for stuff that you can change up at your whim, especially if you can make the base piece yourself? Then we think you’ll like this chalkboard design by Wit and Whistle! Write a message for your loved one each morning when you bring them a cup of coffee in bed before work. 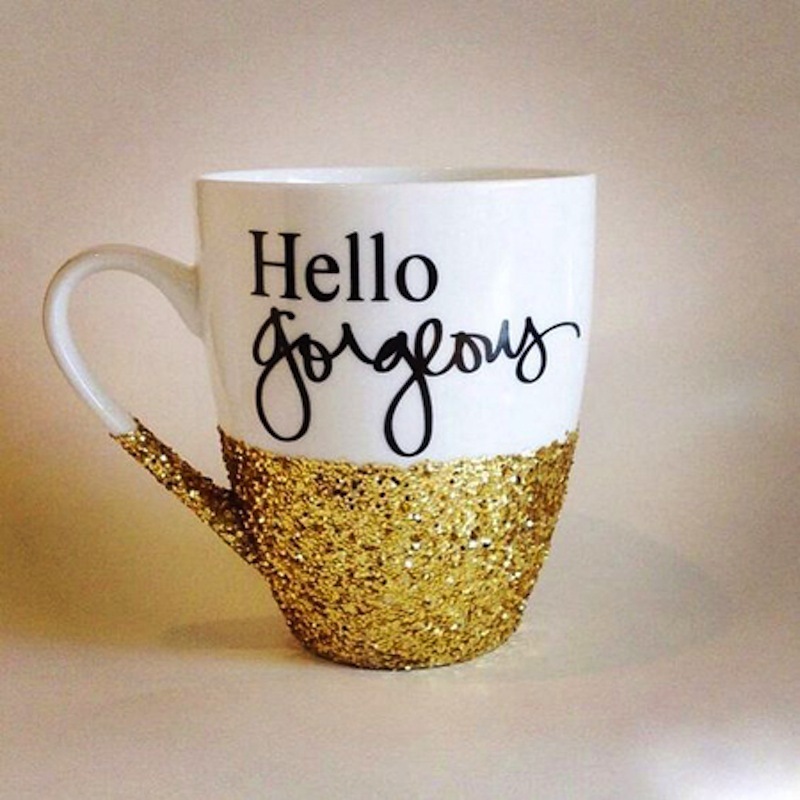 If you can apply glitter safely to the outside of a coffee mug and have it be completely usable and completely washable, then it only makes sense that you can do so with a travel coffee tumbler too! This is particulary easy if you own the kind of tumbler that’s design to pop out of its casing for easy customization already. 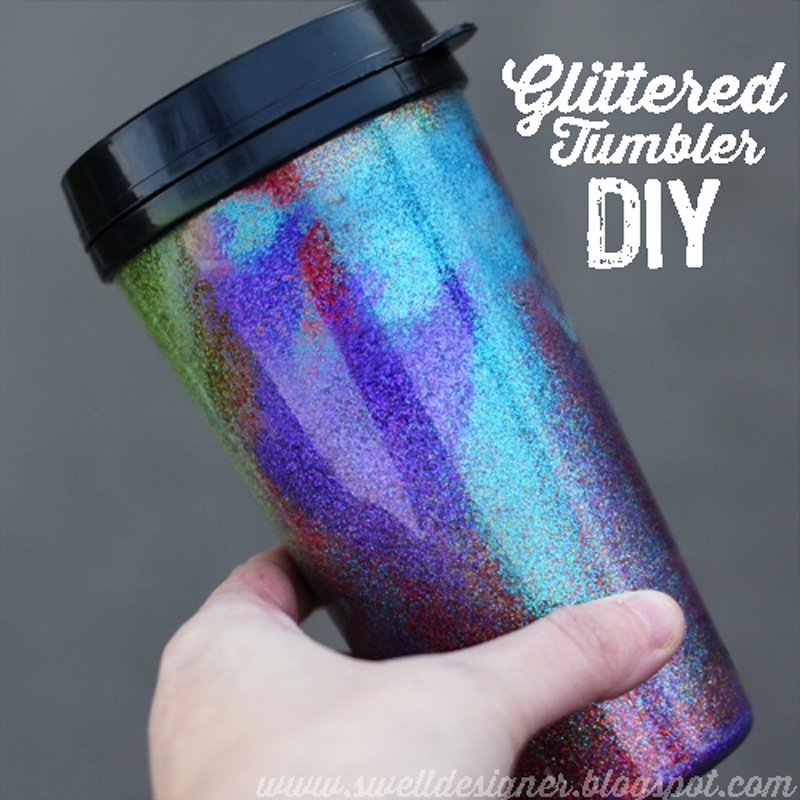 Check out how The Swell Designer made this extra glitter rainbow tumbler project happen. 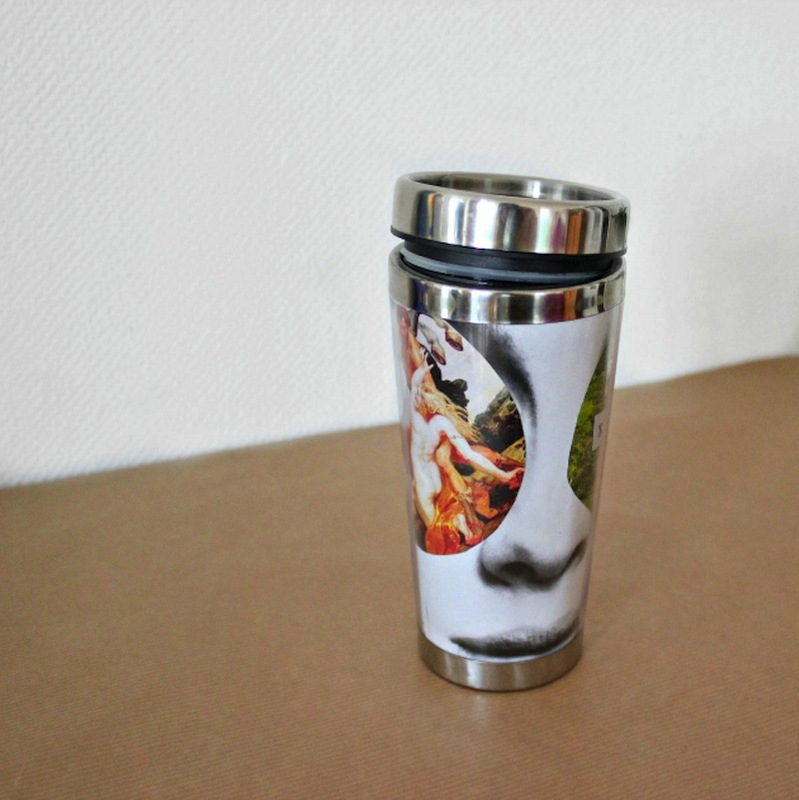 Remember the customizable coffee tumblers we were just talking about above? Well, glitter isn’t the only thing you can fill them with! The in-between layer in your tumbler is a great place for all kinds of artsy things if the casing is at least a little bit see-through. Check out how Love to Go Happy Things, for example, created an awesome pictures collage for theirs. We’ve already talked about a few different methods of painting yourself a new coffee mug, including ways to make it unique using things like patterns and colours. Sometimes, however, the thing that makes something really unique is its texture rather than just the colour or design itself. 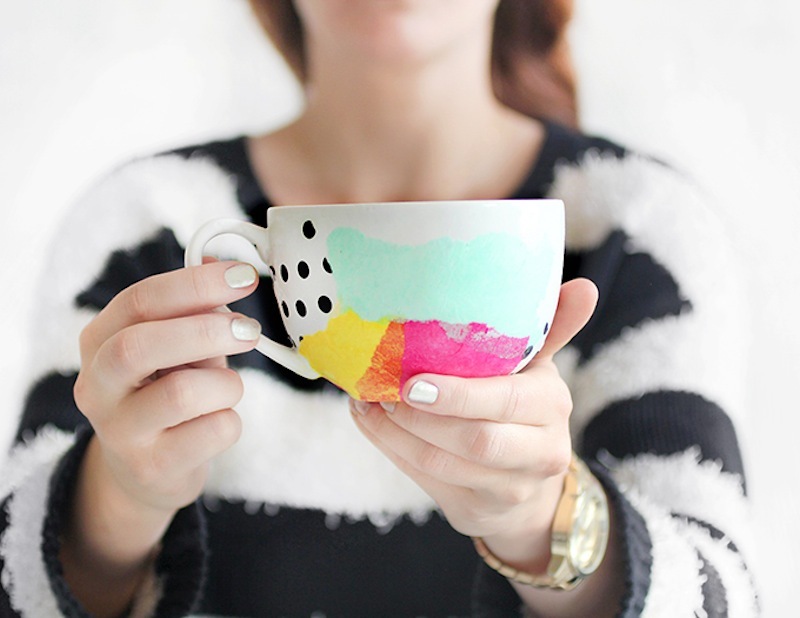 That’s why we loved this raised paint polka dot idea from A Pretty Life in the Suburbs so much! The way the dots dry raised from the surface of the cup both looks and feels more interesting than most mugs you’ll find in stores. 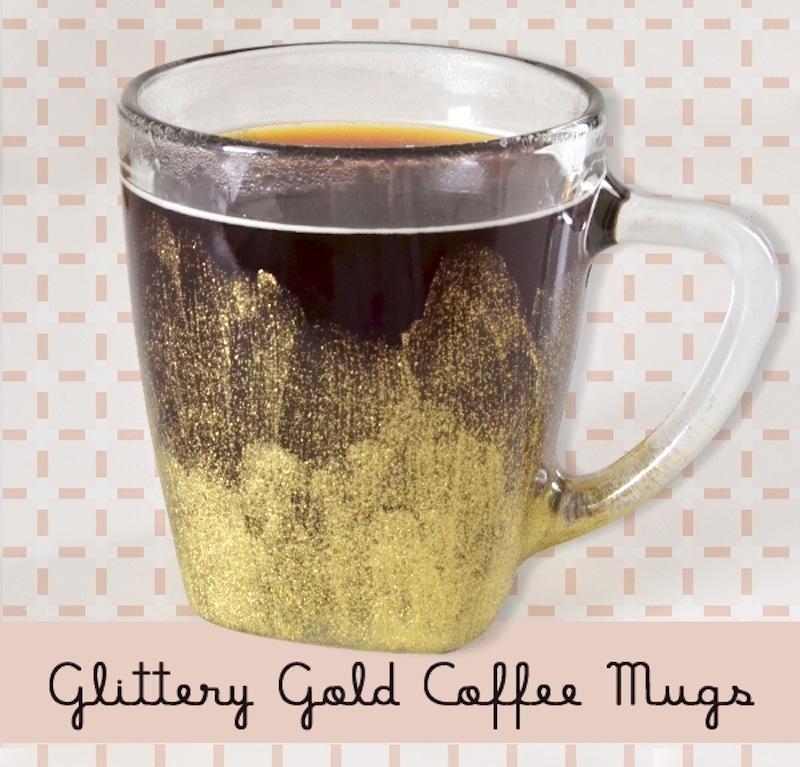 Do you love the idea of incorporating glitter into your DIY mug making session but you’re not sure that an entirely solid glitter element is really what you’re looking for? Not everyone liked the textured look of chunkier lose glitters that are applied dry with a mixing agent. If that’s how you feel, try following Mom Spark‘s lead and creating a painted glitter mug that fades out from a more solid glitter around the bottom to an ombre effect closer to the top. If you’re an avid crafter of all kinds like we are then you’ve probably already tried tissue paper decoupage on all kinds of things. We’re big fans of using tissue paper over other kinds of paper because it absorbs the liquid more and becomes almost see-through, making it look closer to water colours than solid decoupage. 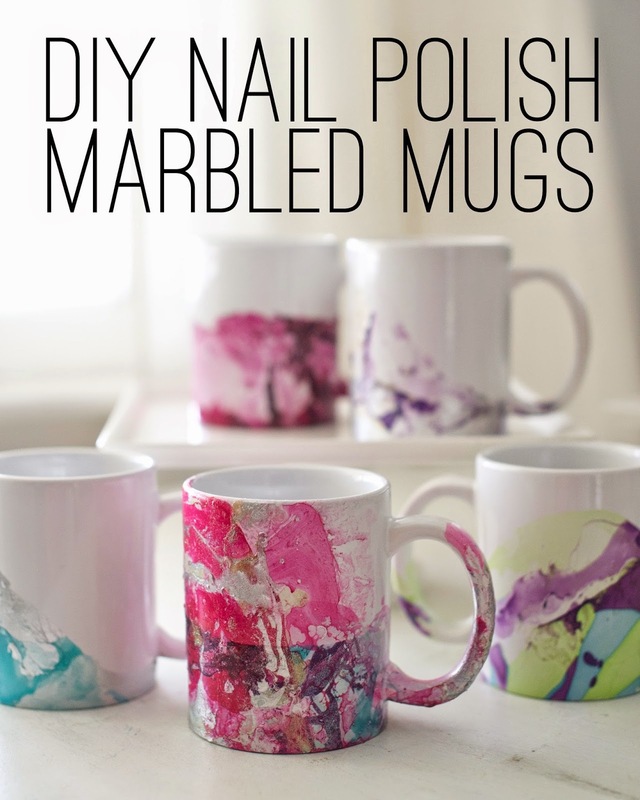 Did you know, though, that you can do tissue paper decoupage right onto a mug and it will still be washable? Find out how it’s done on I Spy DIY (we promise that the answer isn’t “magic”). 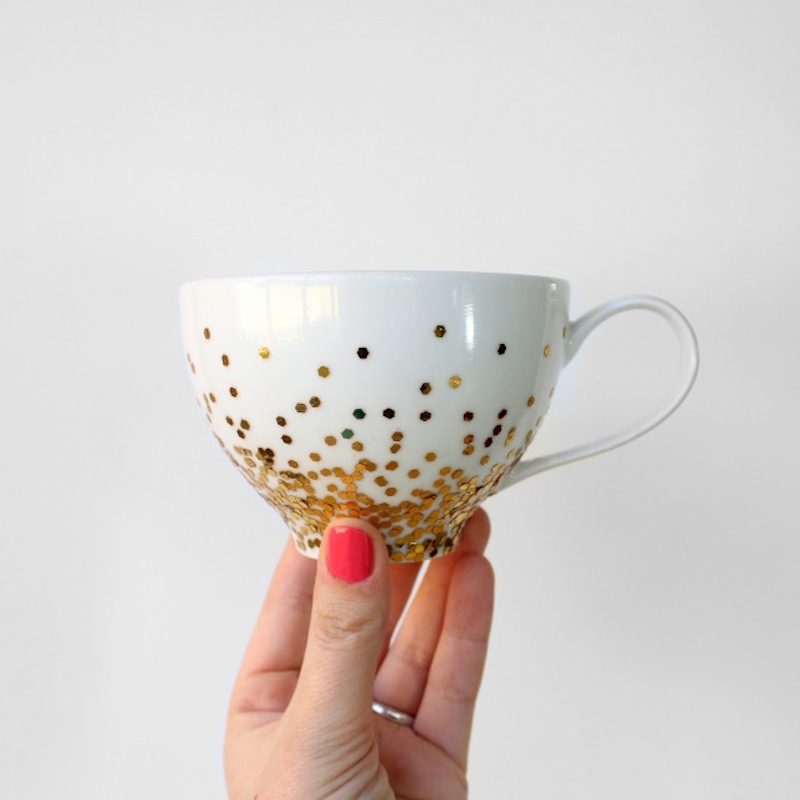 We already talked about covering mugs in glitter paint or loose glitter, but what if you’re looking for a sparkly option that’s a little more bold than those? Then perhaps chunkier confetti glitter is the answer for you! We love the way Lines Across used similar techniques as the designs we discussed previously but with a sparser coverage so that the size of the glitter confetti really makes a statement rather than overlapping too heavily so that the look isn’t effective anymore. Coffee isn’t the only thing that mugs are used for, even when they’re homemade! Some mug lovers still use theirs to serve afternoon tea and many tea enthusiasts still like to have a saucer under their mug as they sip. If that’s you, then try making yourself a custom sauce while you’re at it with your DIY mug! 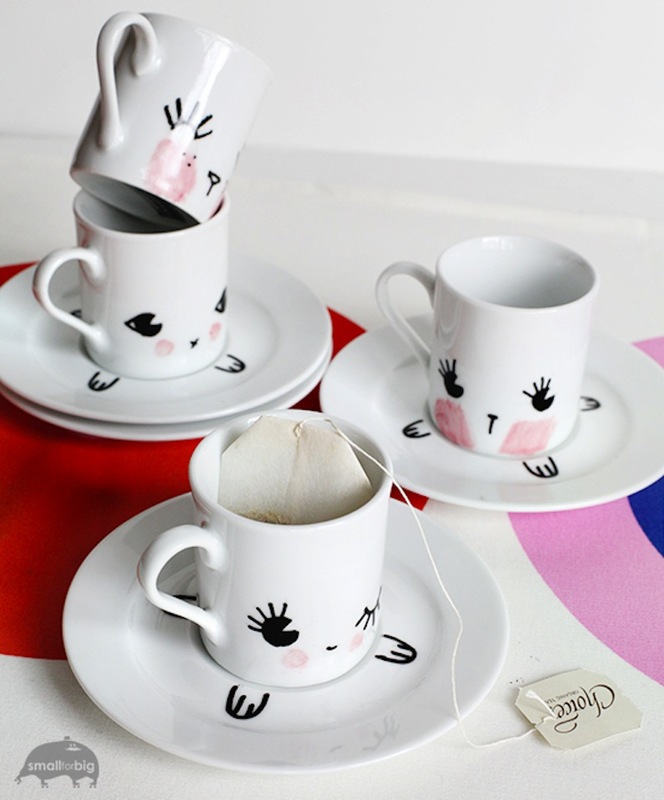 We love the idea of making them to look like a matching set, just like Small for Big did here with their little winking bunny mugs with paw saucers. Have you made other types of DIY mug that you absolutely adore using every single morning but you don’t see a design quite like your on our list? Tell us all about how you made it or link us to pictures of your work in the comments section!